Posted on January 13, 2016 | by cookwithwhatyouhave | 6 Comments on Less Shopping, More Chopping! 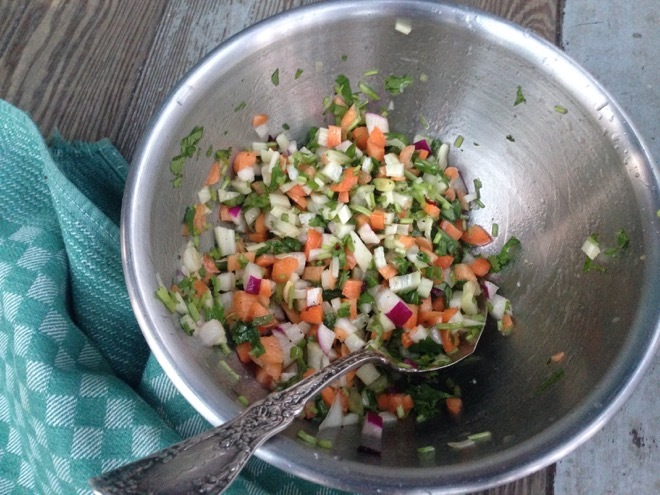 2 radishes, 1/2 a fennel bulb, 2 small carrots, some cilantro, plus plenty of lime juice, salt, a little oil. This finely chopped garnish enabled us to have leftover black beans and rice (from the freezer–I always make more than I need in the moment) for dinner. Simple, fresh, filling and wholly sufficient. 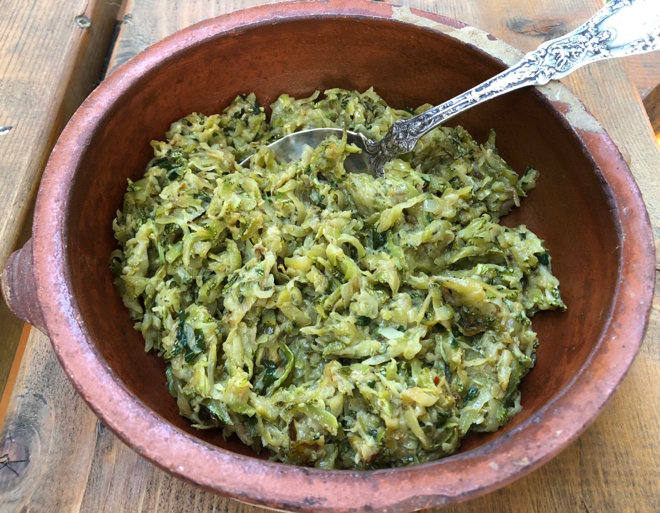 I want to make two points: One, texture matters and finely chopping vegetables, herbs, nuts, seeds, whatever, can create a bright, rich garnish/salad/condiment that provides enough flavor to enliven plain things/staples–beens, rice, soup, roasted veg, eggs, etc. Two, having vegetables on hand means you don’t have to run to the store last minute and instead can scrounge leftover bits, like the ones above, to create abundant flavor. 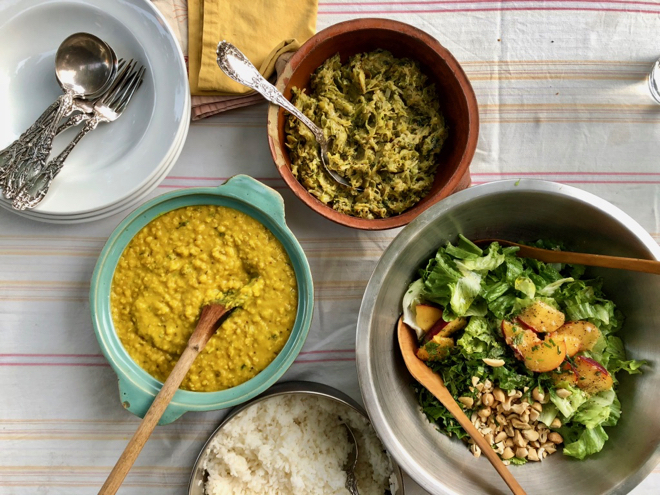 Having a CSA or getting produce at a farmers’ market or store on a regular basis means you can spend the time you might have gone shopping, making fun food. The thrill of seemingly making something out of nothing never wears off for me. I literally chuckle to myself with glee, cheap thrills, I know. Happy New Year and Happy Chopping!